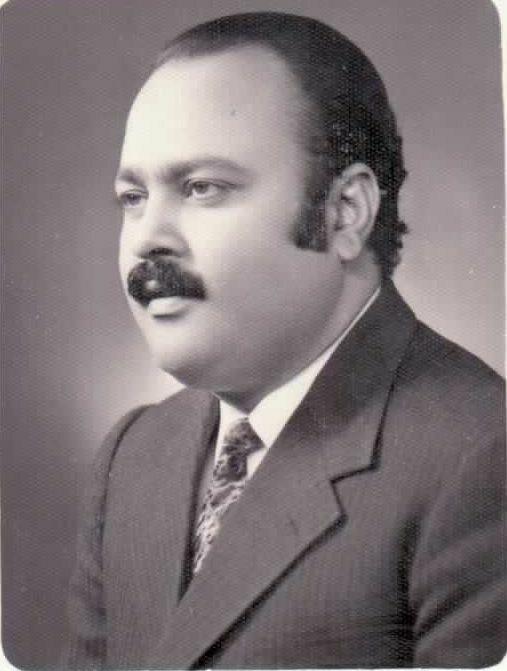 T. I. 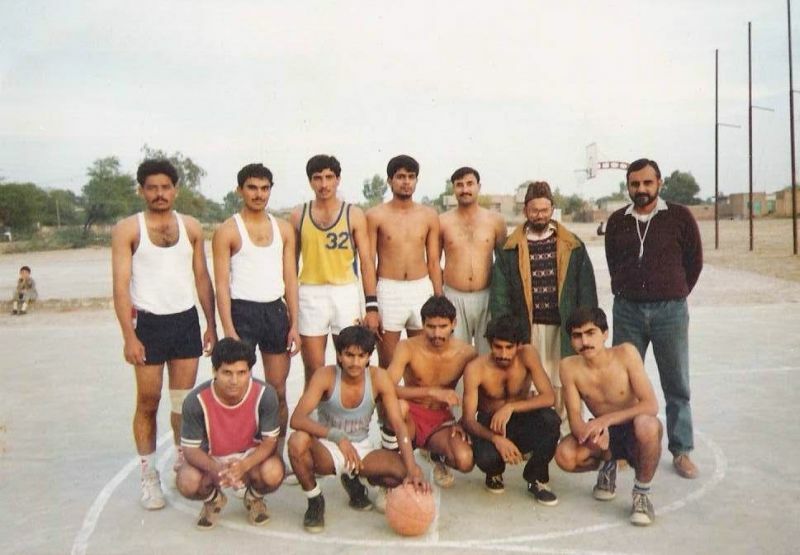 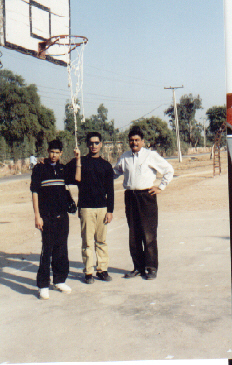 College has not only been an undisputed Champion in Basketball but has produced some of the finest players for the Pakistan National Teams. 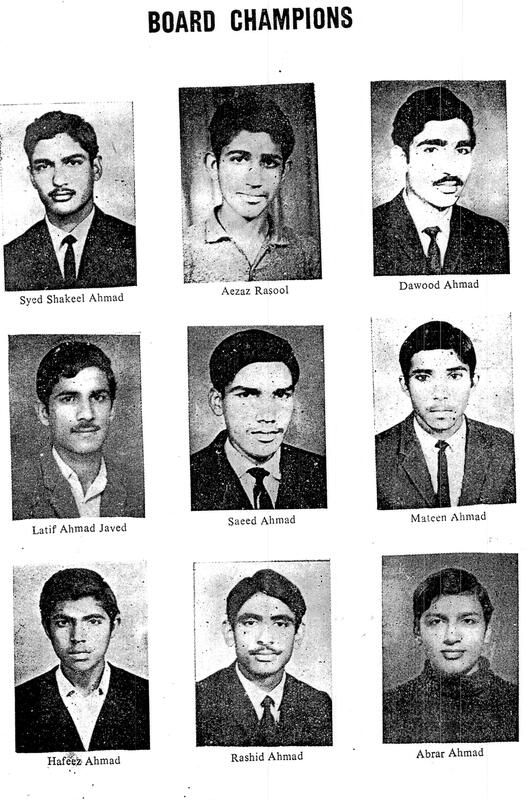 We are still struggling for their photographs. 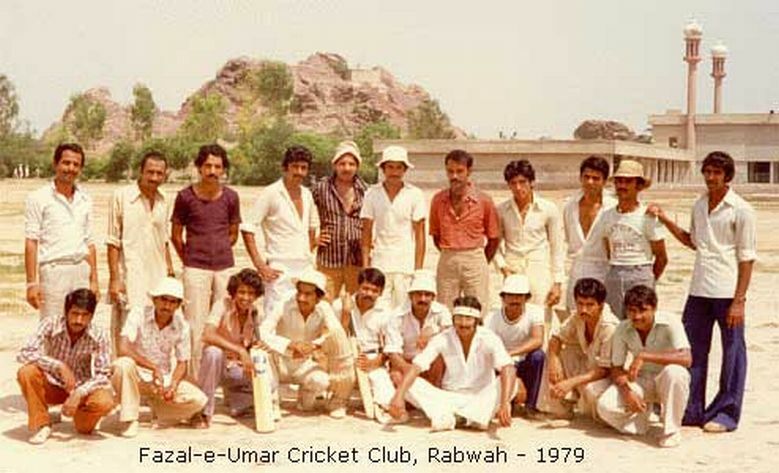 Aizaz Rasool has provided the following. 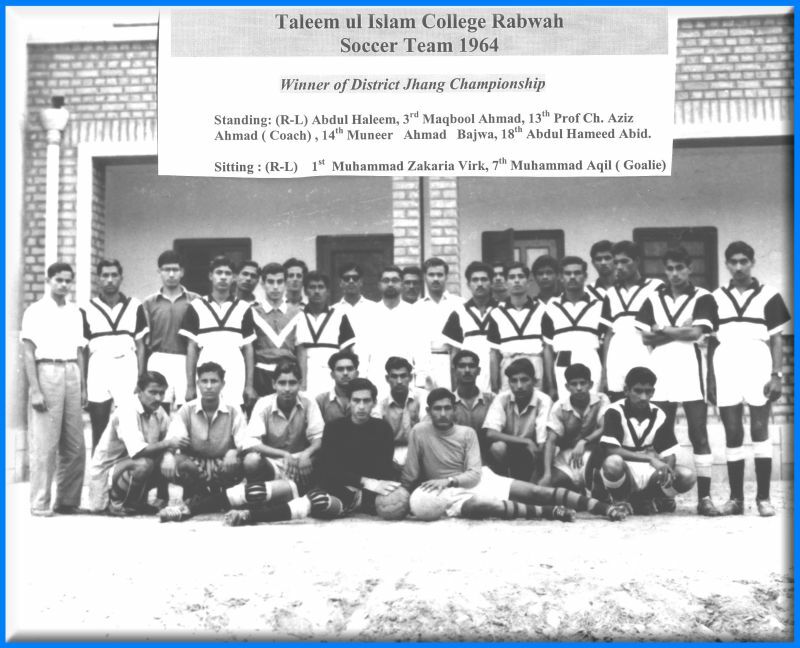 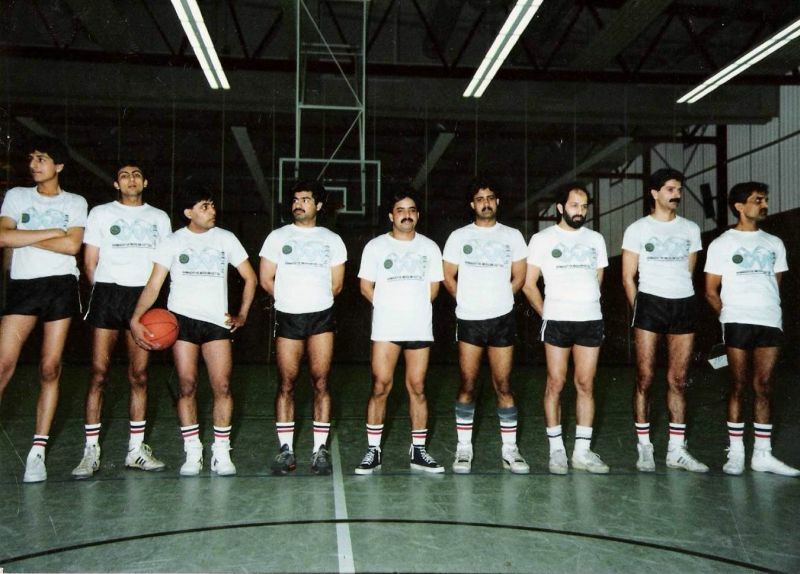 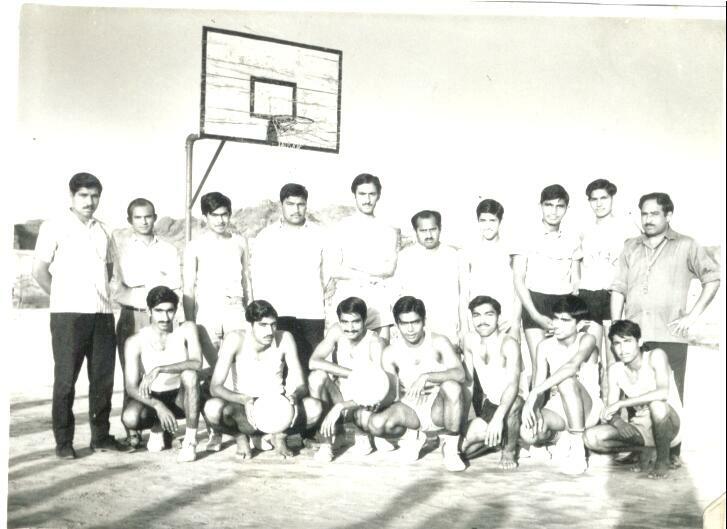 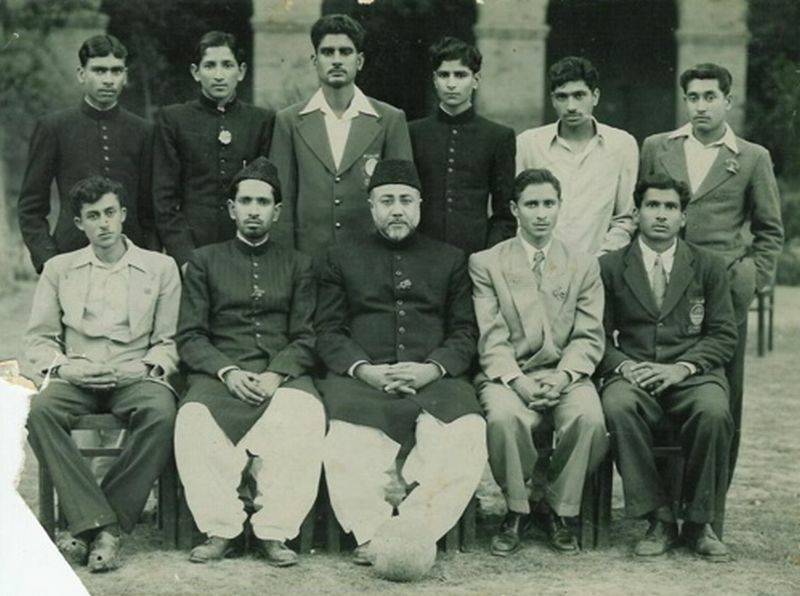 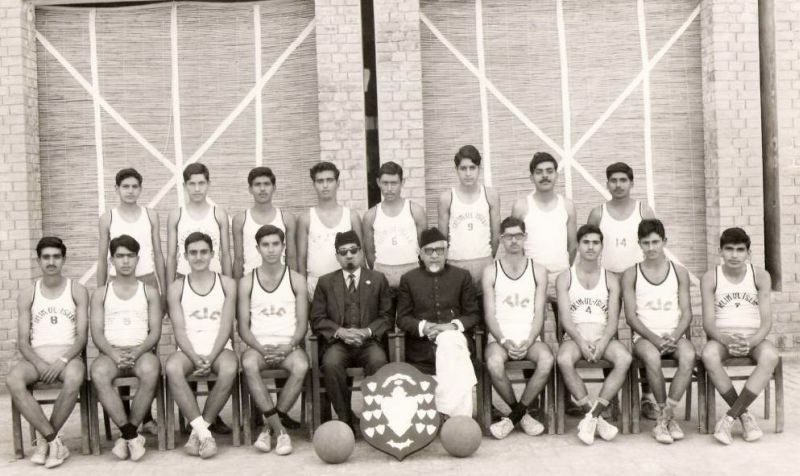 A request has been made to Prof.Chaudhry Mohammad Ali Sahib, through Dr. S. M. Shahid, to send us some of the photos of the basketball teams. 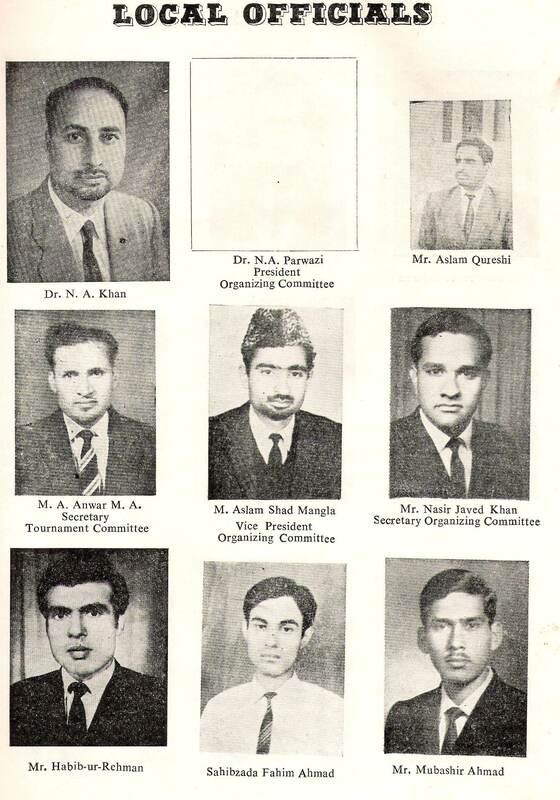 As soon as we get them, this page will be improved. 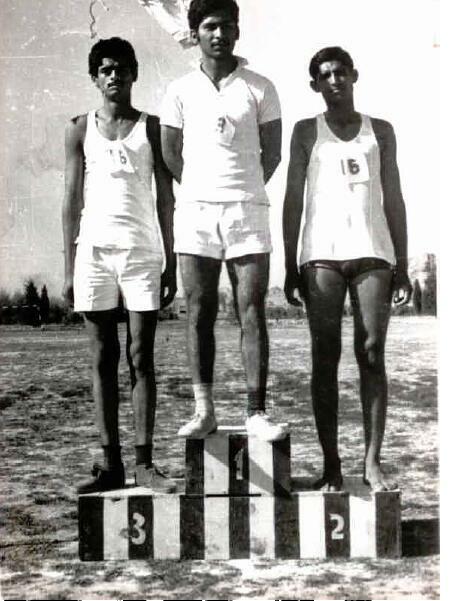 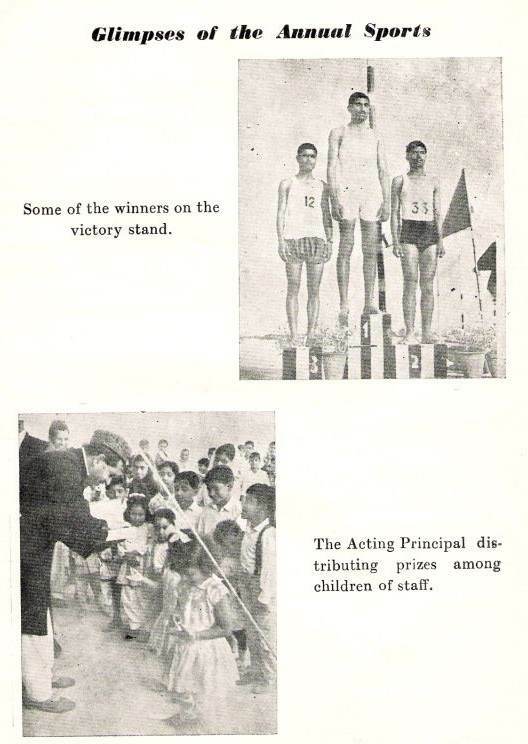 Chaudhry Mahfooz-ur-Rahman, Chaudhry Anis Ahmad and Chaudhry Bashir Ahmad (known as Haji) and Nasir Ahmad Zafar (olding trophy) can be recognise. 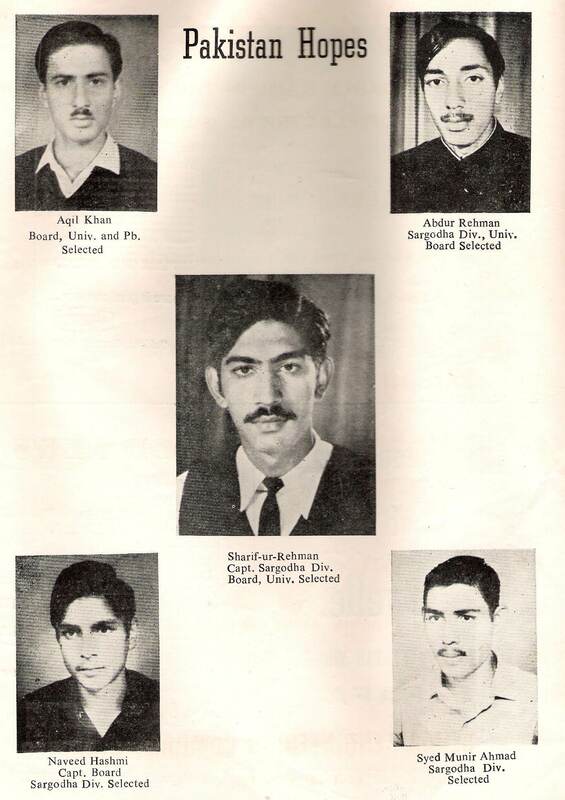 Who can tell us the other names? 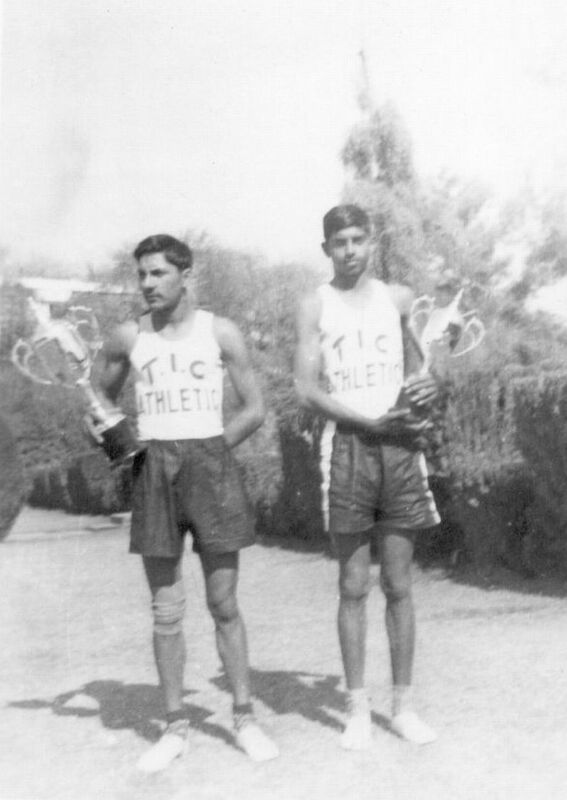 T. I. 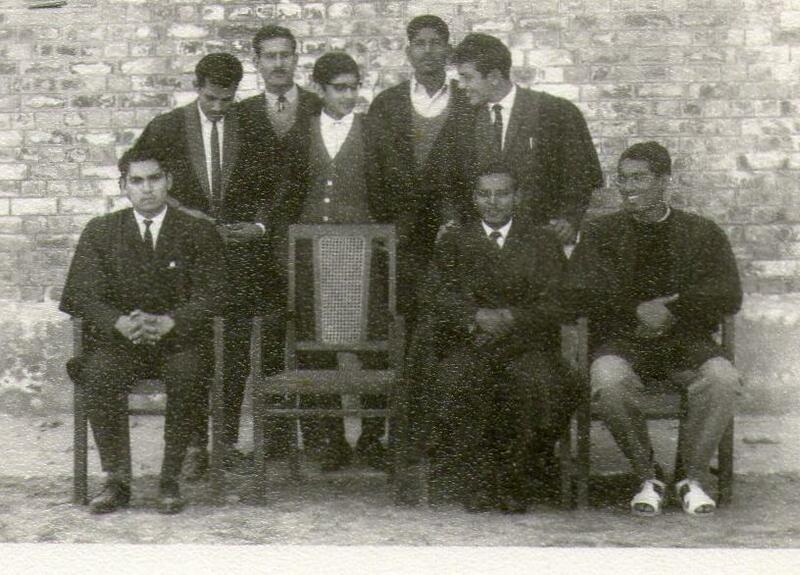 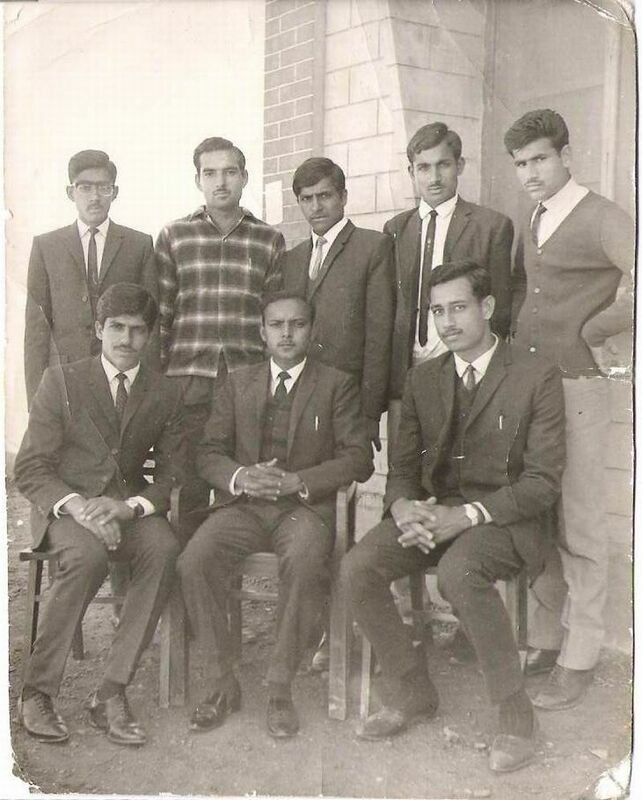 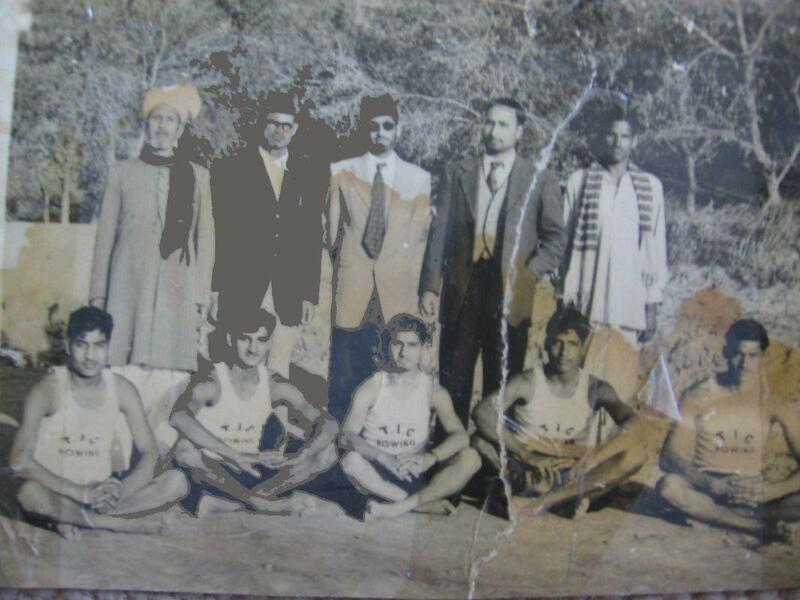 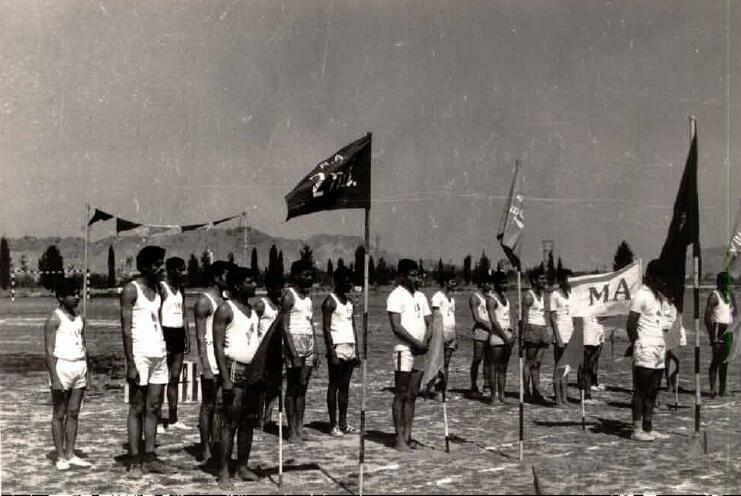 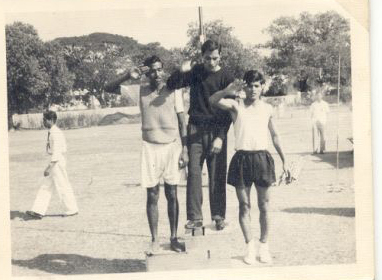 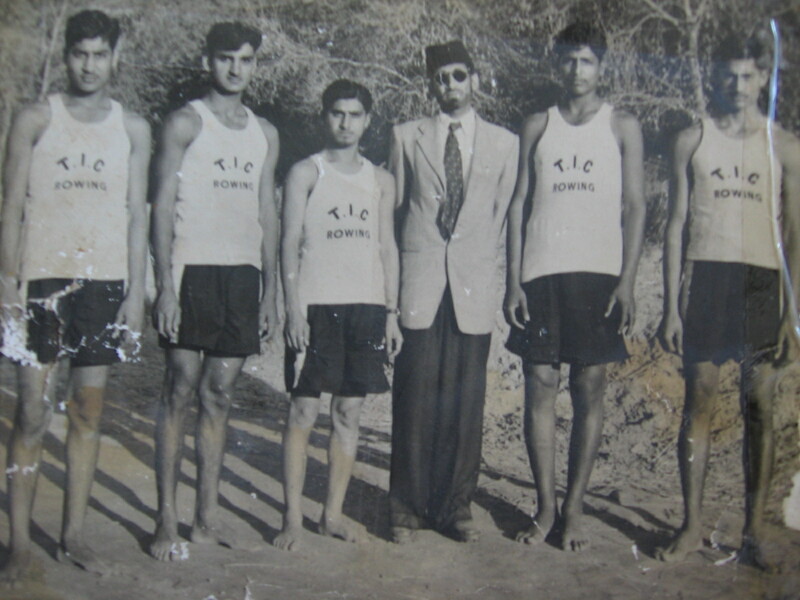 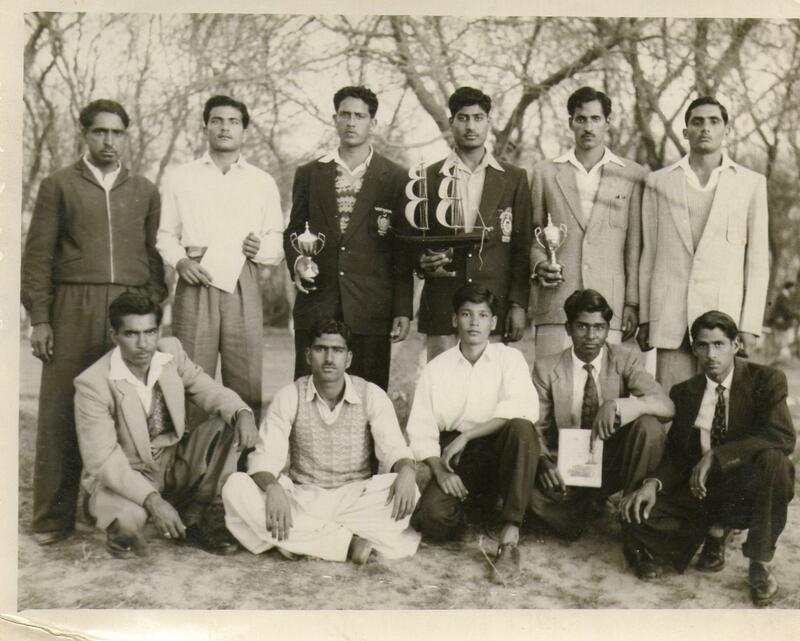 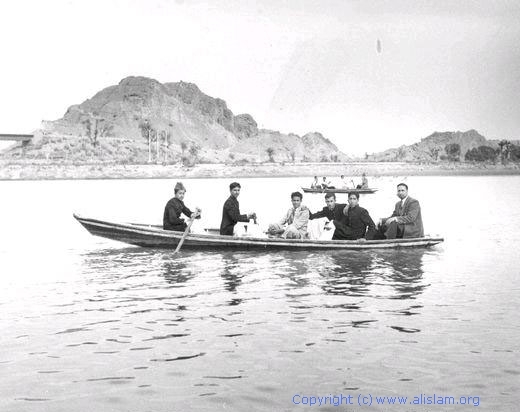 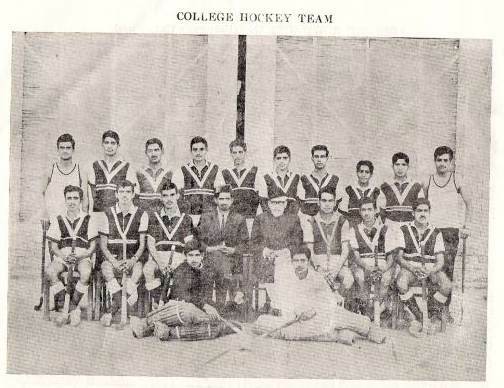 College Rowing team that won the Lahore Board Rowing Championship in 1962. 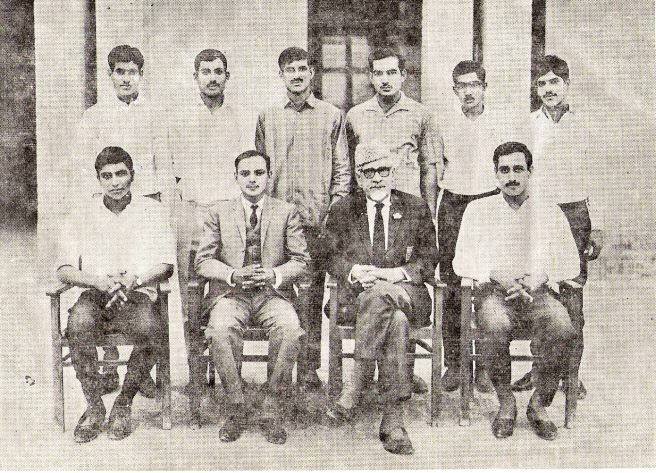 Mohammad Yousa, empty chair for Prof. Chaudhry Mohammad Ali Sahib, Prof. Chaudhry Hamid Ahmad, Sanaullah, Aizazul Haq (marhoom among the standing). 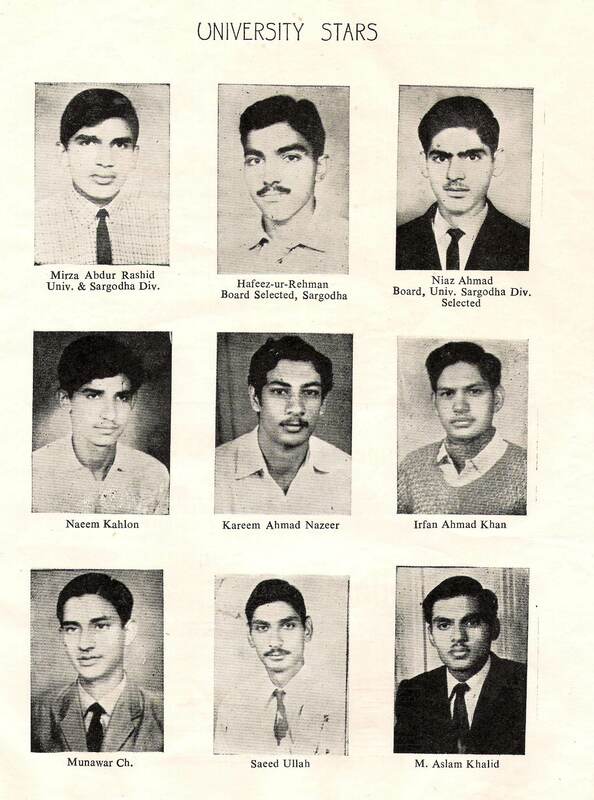 Who can tell us the other names? 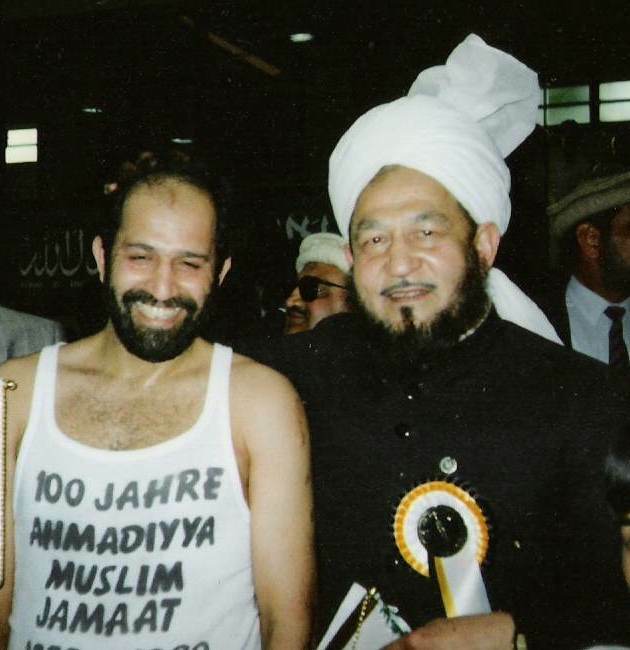 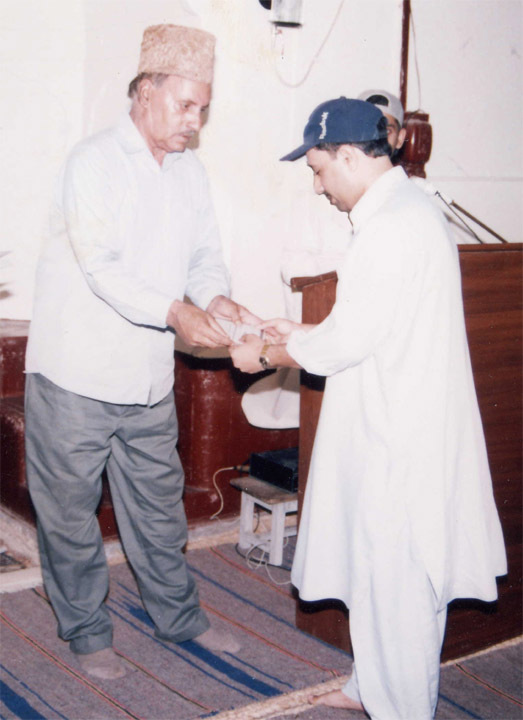 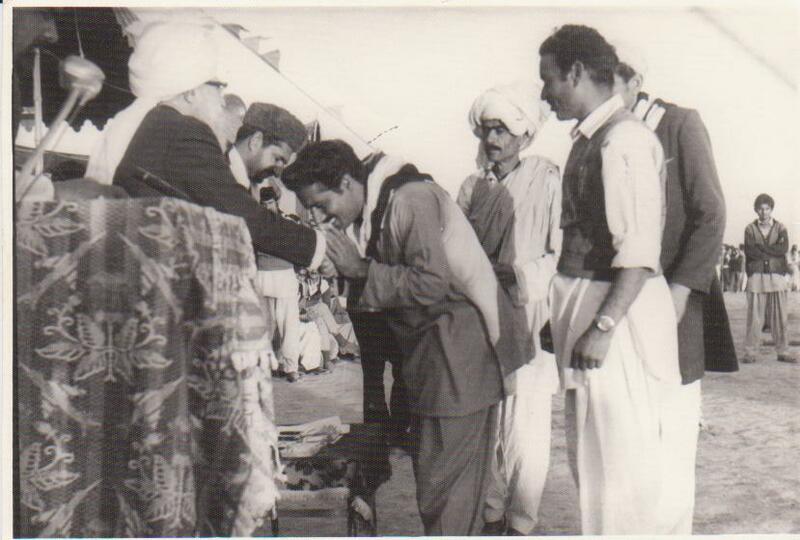 Our late Chaudhry Bashir Ahmad (former MPA) , popularly known as Haji, distributing prizies in Sheikhupura, where he was the District Amir at the time of his demise. 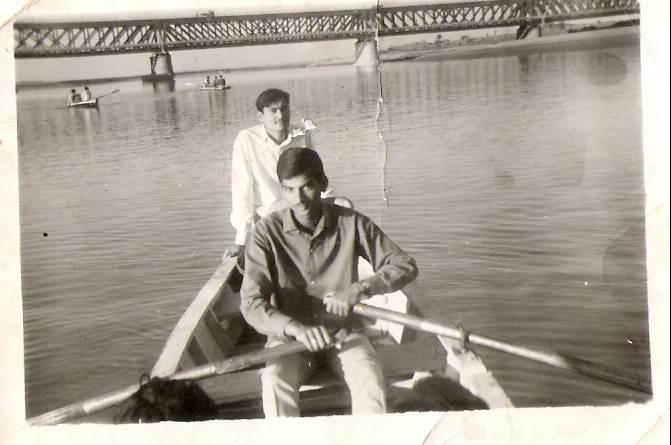 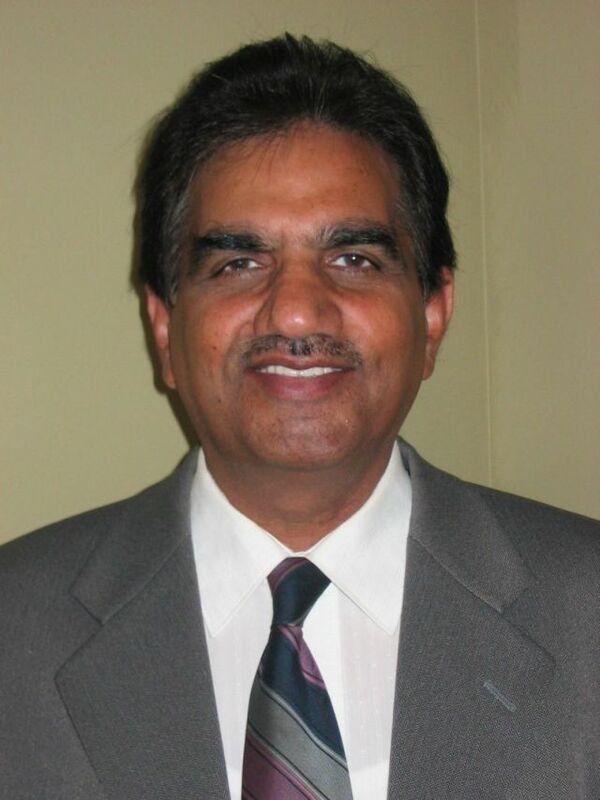 Chaudhry Bashir Ahmad is spent more years in the college than perhaps any other. 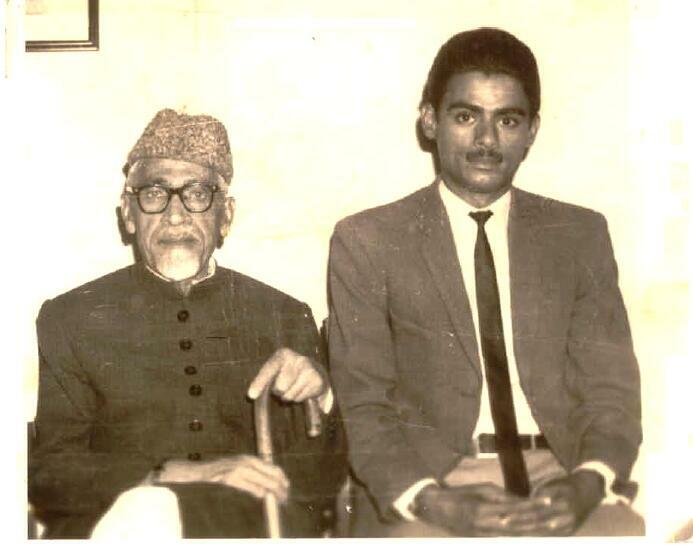 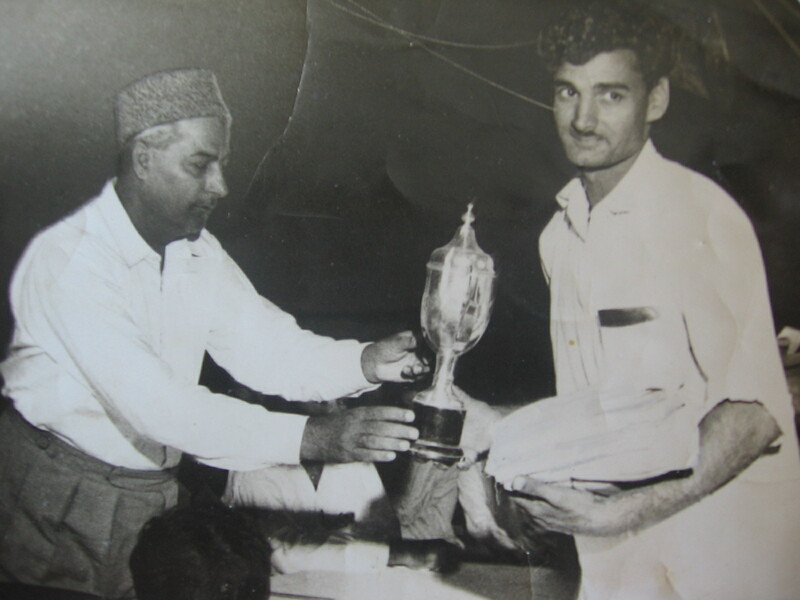 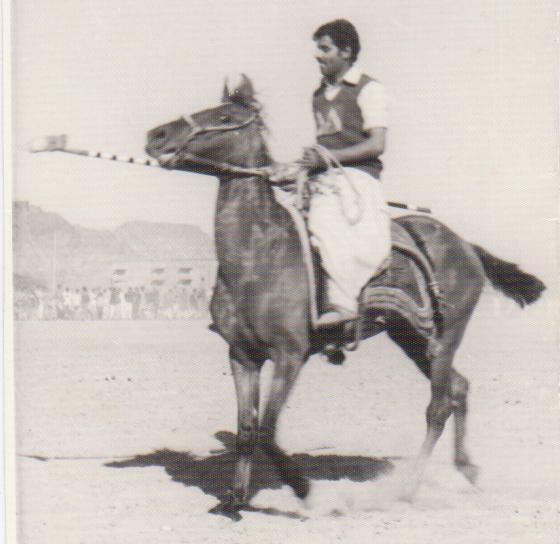 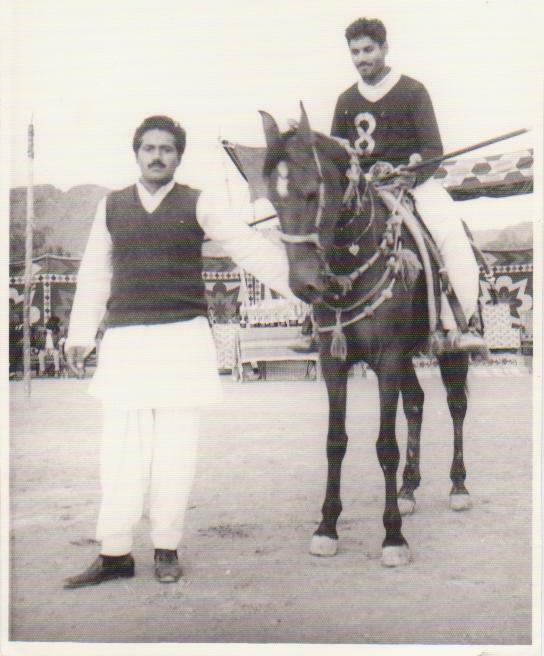 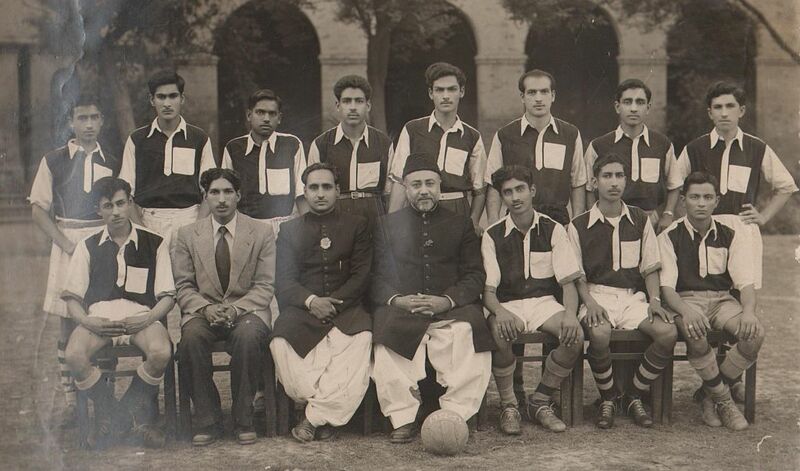 Chaudhry Bashir Ahmad war an all-rounder, played many games, and captained Football, which was his favourite. 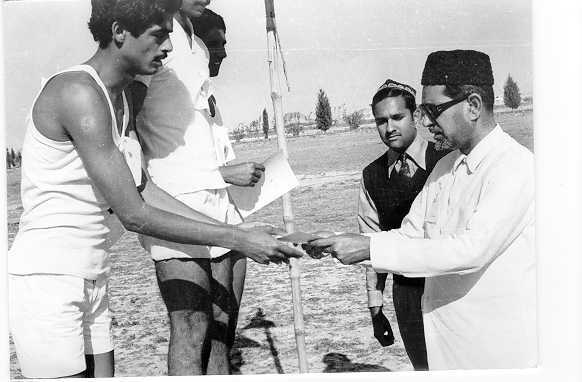 He played Rowing and Volleyball as well, apart from being a very great athlete.